Condolence: I am so very sorry for your loss we at the golf course will miss Rolf,i found him to be a very good man to talk to and share a few jokes. Condolence: Sad to hear the news about my buddy Rolf. He was always fun to be around . We played many golf games and had a lot of laughs . He will be missed . My condolences to Yvette and Rolf's family . Rest in peace Rolf . Condolence: My condolences to Yvette and the family. Good athlete and golfer. 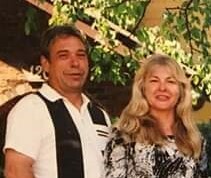 Condolence: So sad to here of your passing Rolf you were always such a kind person to me and all the little animals creatures at your place many good memories with you Yvette and scott Manfred over the years God Bless Rolf sorry for your loss Yvette Manfred and family RIP ! Condolence: You were my best friend and fishing buddy and true outdoorsman and car buff I miss you very much Rolf you were an excellent golfer pool player and always caught the big ones at every chance! THANK You for being there for me all these years and all the fun pet names u made up LMAO ! Many memories GOD BLESS YOU ! BUGG EYE !!! WEE Scottty ! Wal EYE !